Campbellsville High School girls’ golf player Abbie Dicken, a sophomore, recently competed at this year’s region golf tournament. Dicken, who is the only member of the girls’ golf team this season, competed at the fourth region tournament on Monday, Sept. 26, at Glasgow Country Club. Because she is the only member of the team, Dicken competes as an individual. At the region tournament, Dicken placed 22nd out of the 64 competitors. Though she finished in the top third of the competitors, her finished wasn’t high enough to advance to the state tournament. David Payne is the CHS girls’ golf coach. 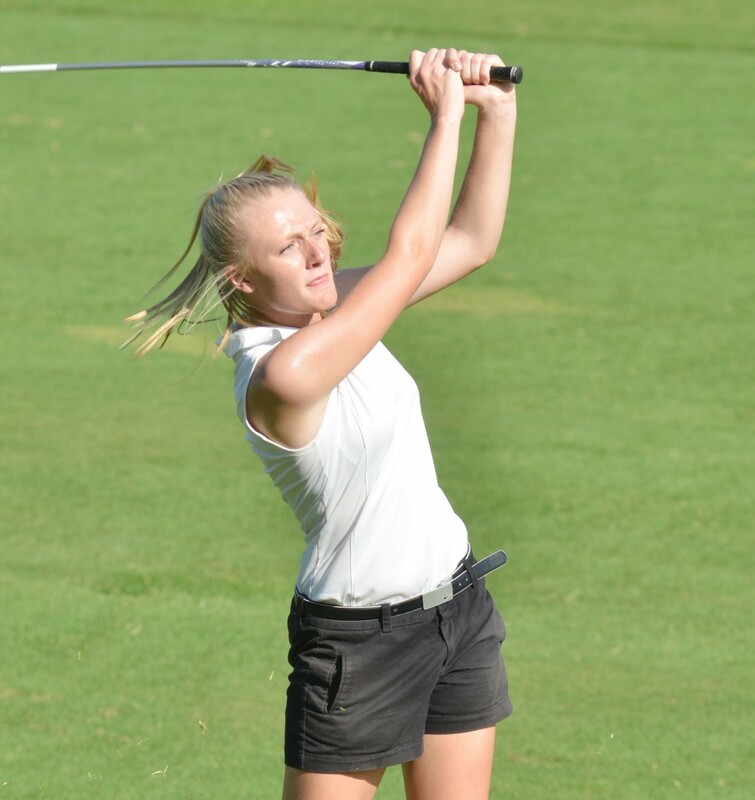 Campbellsville High School girls’ golf player Abbie Dicken, a sophomore, recently competed at this year’s region golf tournament and finished in 22nd place out of 64 competitors.